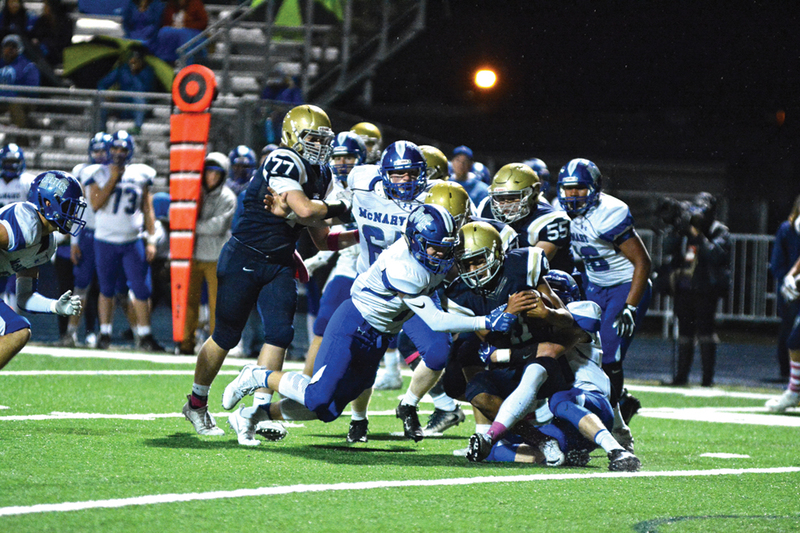 McNary head football coach Jeff Auvinen wanted the Celtics to remember last season’s opening drive against North Medford as they began preparing for the Black Tornadoes on Monday. While North Medford won last year’s game at McNary 38-17, the score was tied 14-14 early in the second quarter before the Black Tornadoes really took control. Auvinen wants the Celtics to set the tone this time around. North Medford is 2-5 overall but plays in the Southwest Conference with Sheldon and South Medford, two teams ranked in the top six in the OSAA power rankings. Sheldon, No. 4, gave West Salem its only loss, 41-7, on Sept. 18. North Medford gave Sheldon a slightly closer game, losing 35-7, but were blown out by South Medford the next week 55-6. South Medford only beat South Salem 28-21. North Medford is 22nd in the power rankings. McNary is 18th. With last week’s win at West Albany, the Celtics are third in the Greater Valley Conference behind West Salem and Sprague and in a good spot to finish at least inside the top four.